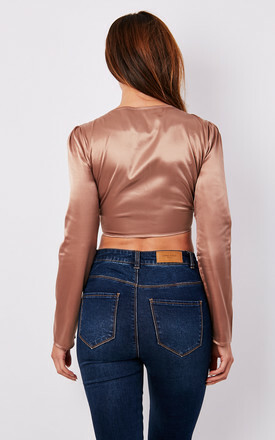 How cute is this satin wrap around crop top?! It's so on trend and would be perfect for a night out teamed with a skirt and strappy heels! Miss Truth has a range of unique tops that will help up your style game for any occasion. Go on, spoil yourself! Lace up front. Our model is 5'6 and wears a UK 8/EU 36/US 4.